As the Paperclip family grows, so does the list of universities who have taken proactive steps to improve their student experience. In our last post, we explored the true cost of university for British undergraduates in 2018. With the total surpassing an eye-watering £140,000 for a three year degree course, higher education providers and students themselves are looking for ways to both save and earn money during their studies. This was the primary motivation for Paperclip to create our innovative platform to help students save money on core university essentials (textbooks, laptops study materials, etc) as well as giving them an opportunity to earn quick cash decluttering. Located at the very edge of West London, Brunel University was founded in 1966. The uni organised into three colleges and now caters for 13,000 students. The university has a busy, vibrant and diverse campus which caters to students from all over the world. After beginning preliminary discussions with some of the uni's closest neighbours, we approached The Union of Brunel Students to explore the possibility of them trialling a Paperclip marketplace in time for the start of the academic year 2018/19. Speaking about the meeting, COO Alan said "We approached the Union of Brunel Students back in the Spring. After speaking with the team, they agreed to go ahead with the marketplace. It's great to have another London university on board, especially as they have agreed to link their platform to the marketplaces we have already provided to the students at UCL, King's College London and Queen Mary University. 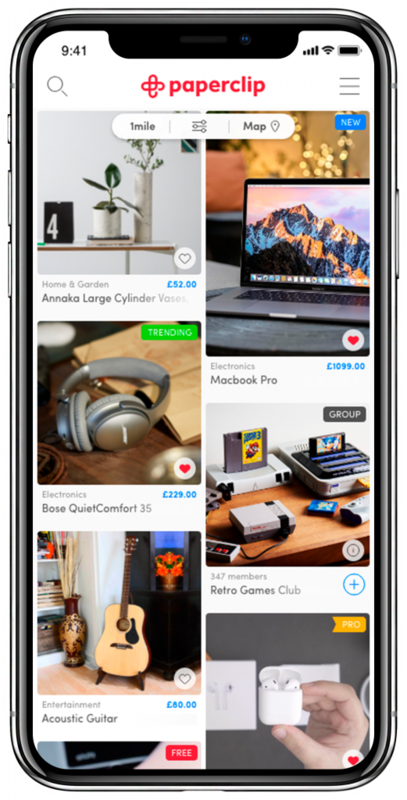 This provides users with an even more items available to purchase and gives students a greater chance of selling their unwanted items." Naomi Candorf, Advertising and Fundraising Administrator at The Union of Brunel Students added "The Union of Brunel Students is excited to be working with Paperclip to create a marketplace that is beneficial to all involved." With the Union staff now fully onboard, we began our quest to assemble a team of Student Brand Ambassadors to get the word out about the new marketplace and let other students know about the benefits of signing up for free. Within hours of putting out the ad, we were inundated with applications from Brunel Uni students looking for an opportunity to gain some real work experience and to help us get the word out about the new marketplace. Sadly, though we had some amazing applicants, we could only select our top five to join the team. One of the students who stood out was Communications & Media Studies undergraduate, Oliviyah Harry. Asked about her new role, Oliviyah said "I'm really looking forward to working on this project. Not only is this is a great opportunity for students to save money, but it is a great opportunity for me to gain some real work experience on campus." There has been a new addition to the Paperclip family! This week we are extending a warm welcome to Justin, our new Graduate Marketing Officer. Justin, originally from Plymouth, is a recent Business Management graduate of Swansea University. Way back in 2015, Paperclip partnered with Justin's uni faculty, the Swansea School of Management and Leadership. 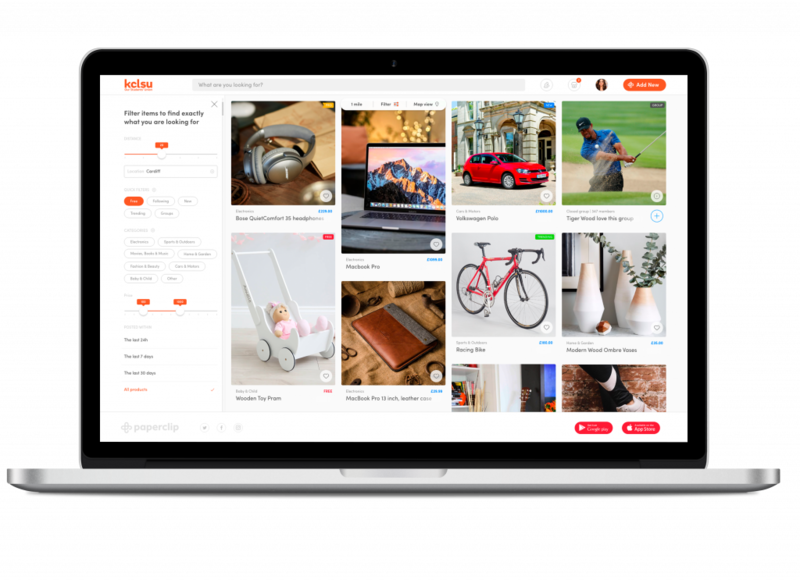 We created a bespoke marketplace, just for the SoM students. This gave Justin a perfect project for his dissertation on growing small businesses. Justin spearheading the entire project, working on promo stalls and analysing performance data. Justins' experience working as a Red Bull Brand Manager will be invaluable as Paperclip gets the word out to freshers up and down the UK later this month. "Hey! I’m Justin and I'm the newest member of the Paperclip team. I’m 22 years old and an avid free diver with the ambition so explore the world. I have just recently graduated from Swansea Uni with a Business Management degree - one of my proudest achievements to this date. I'm delighted to be starting my career in marketing as Paperclip's Graduate Marketing Officer." What will you be doing at Paperclip? "From previous experience as a Red Bull Student Brand Manager and a Paperclip Student Brand Ambassador, I have gained some great experience in this job role. Therefore, at Paperclip, I will be developing their Student Ambassador scheme, supporting C-level executive decisions to ensure an effective programme is implemented across the UK. Myself, and the CMO, are working on finding the most capable students to implement the scheme and managing them to guarantee the marketplace is immersed into everyday university life. As well as dealing with students, I will also be managing the relationships with various Student Unions to ensure they are happy and on-board with their marketplace. I have also been reaching out to companies to increase our number of partnerships." "From my experience in ambassador roles and my degree, I knew I could excel in the role at Paperclip. Also, working with the company in my final year, I knew the Paperclip team had values, hard work and ambition, which aligned with mine." How have you found your first month on the job? "The first month in the job has been an incredible experience, I have been challenged daily, becoming a more well-rounded employee and growing as a person. I have received help from all departments of the Paperclip team, especially from the CMO, to ensure tasks are completed to a standard of high quality. August 30, 2018 - No Comments! Does going to university in 2018 have to break the bank? The average three year degree will cost a student £140,000; enough for a house deposit, a brand new BMW, a trip around the world for a year, a jet ski, and still have enough left over for a rainy day! So how does a degree end up costing a student so much? August 13, 2018 - No Comments! 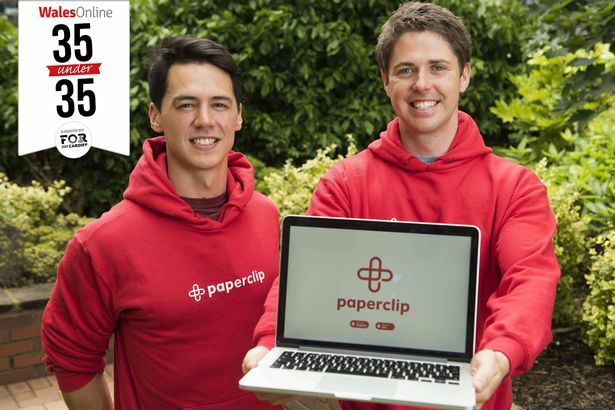 Last week, Paperclip co-founders Rich and Alan were featured on this year's 35 Under 35! The WalesOnline 35 Under 35, sponsored by FOR Cardiff, celebrate the best young business people and professionals in Wales. The platform has been run annually by WalesOnline since 2014 and showcases the best and brightest young talent living and working in the county. Paul Rowland, Editor-in-chief, Media Wales, writes: “The WalesOnline 35 under 35 is a great platform to showcase the rising stars in the Welsh economy, across the private, public, education and third sectors...many of those who have made the lists, have gone on to achieve even greater success." Speaking of the commendation, our CEO Rich said "Being named as a one of Wales' top business people was certainly the highlight of my year. The whole team has put a lot of effort into making Paperclip a strong product with a globally recognisable brand and we'd love to do our part to help chisel Wales onto the startup map. To have our efforts recognized in such a manner is both incredibly rewarding and motivating for everyone involved." CCO Alan added, "It's an honour to be listed alongside some of these brilliant business people. Let's hope we can keep our place next year - before we get too old!" The whole team would like to thank WalesOnline for taking the time to recognise both our founders and the brand. Not only this, but Paperclip have also added another university partner with the distinguished Queen Mary University London also jumping on board as Paperclip look to roll out yet another marketplace in time for Fresher's Week 2018. Much like our friends at KCLSU, the Queen Mary University London marketplace will be a joint venture with their Students' Union. Speaking about the partnership, our CMO Laurence said "I'm delighted to have Queen Mary's new marketplace finished up and tested in time for the new academic year. Queen Mary has a great reputation both domestically and internationally and we are looking forward to rolling this out to the new September cohort." Would your university benefit from a bespoke student marketplace? Get in touch here. Want the latest Paperclip news and updates? Follow us on Twitter. June 13, 2018 - No Comments! What a start it's been to 2018! We are only a few months in and not only have Paperclip claimed a Cardiff Life Award, but the team have also been nominated for Best Digital Start Up and Best Mobile App at the WalesOnline Digital Awards as well as being shortlisted for a South Wales Business Award. In terms of in-house developments, the Paperclip squad have been keeping our cards close to our chest. However, it's with great pleasure (drumroll please) that we can announce that we have secured contracts with a number of universities across the UK to power their official student marketplaces! Way back in 2015, team Paperclip began researching as to whether or not students in the UK needed their own marketplaces to buy and sell textbooks and study materials with their contemporaries. It turned out that out of our sample, a whopping 85% thought their University needed a space to facilitate buying and selling amongst their student community and a huge 79% said that if such a platform existed, they would use it regularly. The following year, we reached out to the Swansea University School of Management to see if they would be interested in working with us to deliver their very own bespoke student marketplace. Luckily, the University faculty saw as much potential in the project as we did and within a few weeks, the School of Management had their very own marketplace. Before long, the marketplace had grown into a thriving community of students buying, selling and swapping their old textbooks, clothes and even their old fancy dress outfits! We recruited a crack team of Student Ambassadors to push the marketplace even further within the student community and now the marketplace is an indispensable part of student life on campus. Building on the success of our project in Swansea. We reached out to the famous University College London's Student's Union in the capital. A few days after our initial meetings, our test site was ready and we were adding the finishing touches to yet another brand new marketplace. Speaking about the marketplace, Nick Spence, Sales and Events Coordinator at UCL Students' Union said "We are delighted to announce our partnership with Paperclip. The whole team at UCL SU are pleased to provide our students with this brand new marketplace!" Rich, our CEO, added "It's an honour to be working with the University College London Students' Union and we are delighted to provide students with a unique platform where they can buy, sell and swap with their contemporaries." Rather than rest on our laurels, the Paperclip marketing team have been working closely with the Student Union to get the word out about the new marketplace and encourage students to get trading. Speaking about the onboarding process, our CMO Laurence added, "After starting our outreach campaign in the Spring, the Paperclip team have been blown away by the response. Working within print, digital and social media, the marketing team have successfully build awareness about the new marketplace and familiarised hundreds of students with the concept and interface. We've had great feedback so far and we're looking forward to introducing even more students to the platform!" The Paperclip team have also worked closely with the students, hiring a team of Student Brand Ambassadors to spread the word around campus and incentivise students to sign up with cash bonuses and heaps of great prizes and competitions. News of our success spread quickly and our inbox lit up with more and more universities wanting to trial their very own student marketplaces. As of September 2018, Paperclip will now be powering the official student marketplace at 50 Universities and Student's Unions across the United Kingdom making us the UK's leading student marketplace provider! April 11, 2018 - No Comments! Paperclip clinch Cardiff Life Award! "Paperclip have been invited to Cardiff City Hall for the annual Cardiff Life Awards"
April 6, 2018 - 1 comment. Happy Friday users and followers! Sorry for being so quiet for the last couple of weeks. 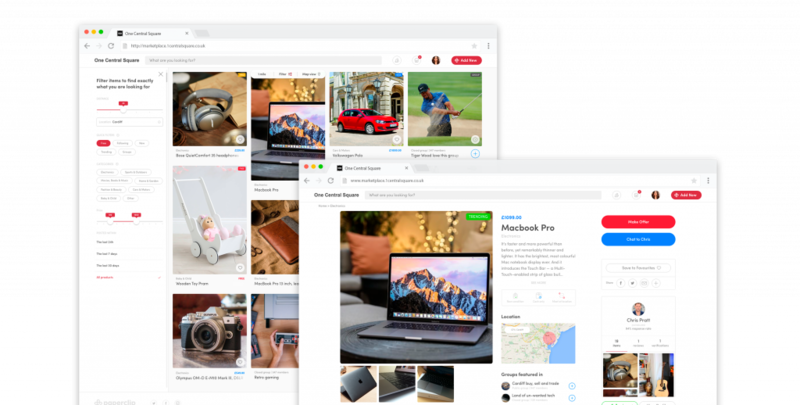 The team at Paperclip HQ have been super busy re-skinning the Paperclip app, adding new features and rolling out private marketplaces up and down the country. But today it was Rich and Laurence's turn to go head back to campus! Sadly, this wasn't a freshers party. Instead, the guys were asked to judge this terms Cardiff SPARK awards at the famous Cardiff University. A mere stones throw from Paperclip HQ, the two saddled up and made the short journey from the city centre to Cathays.